Bosch Wins 2011 Energy Star® Sustained Excellence Award. Bosch focuses on what matters most — quality and environmental responsibility. What you do in the spotlight isn’t the measure of your stature — it’s what you do when no one is watching that truly counts. That’s why Bosch engineers have challenged themselves to reduce the environmental impact of our products — without compromising performance. 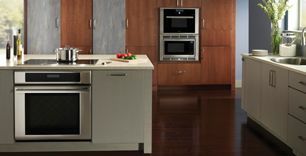 This commitment is reflected in superior quality appliances with sleek, smart design and efficient, practical innovations that use less energy and water. Not because the world demanded it. But because we believe it should. As the only U.S. manufacturer with all models ENERGY STAR® qualified in every major appliance category, it’s no wonder Bosch has been named the ENERGY STAR® Partner of the Year for three years in a row. This award recognizes Bosch for its outstanding contribution to reducing greenhouse emissions by manufacturing water- and energy-efficient appliances. 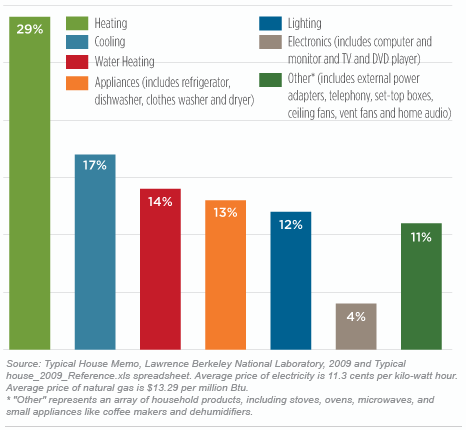 With the help of ENERGY STAR® appliances, Americans save $19 billion on energy bills annually and reduce greenhouse gas emissions to the equivalent of 29 million vehicles. 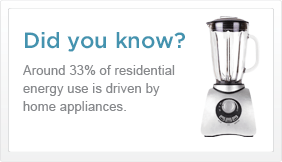 ENERGY STAR® is a joint program of the U.S. Department of Energy and the U.S. Environmental Protection Agency dedicated to helping consumers identify energy efficient appliances. 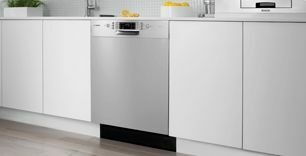 Bosch manufactures the most efficient dishwasher in the U.S. 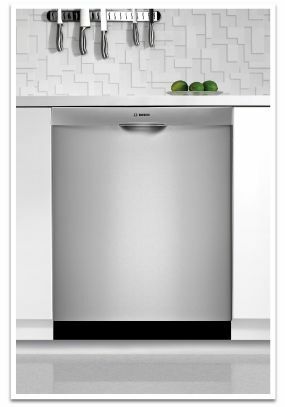 The Bosch 800 Plus dishwashers use far less energy than comparable models and up to 70% less water. All Bosch dishwashers feature an advanced sensor system (EcoSense®) which determines the soil level to delete unneeded water fills, cutting energy usage by 20%. Condensation drying uses latent heat for the final rinse and the stainless steel walls to dry dishes while saving on energy use. The flow-through water heater eliminates the need for a conventional exposed heating element with a more effective heating method that saves energy. 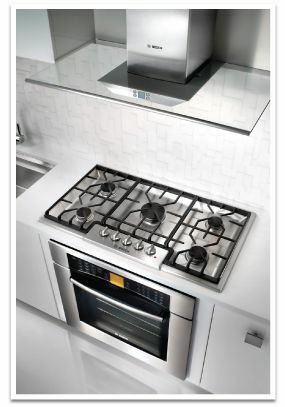 The Bosch free standing Ranges and Built-In Wall Ovens are made of 98% recyclable materials. The wall oven’s EcoClean® 2-hour self-clean cycle delivers improved energy efficiency by running for the shortest period of time possible. 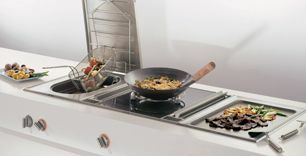 Electromagnetic Technology: Induction cooktops use electromagnetism to quickly and efficiently heat vessels, using 60% less energy than gas. Potsense™: Sensors adjust the heat field to the pot bottom, making your kitchen cooler and more energy efficient.